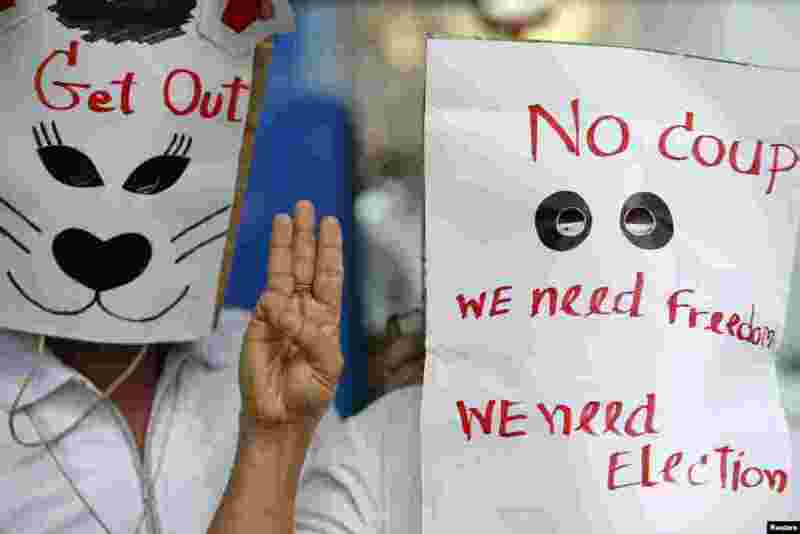 Thailand's military is threatening to arrest those using a three-fingered salute from "The Hunger Games" movies to express opposition to last month's coup. 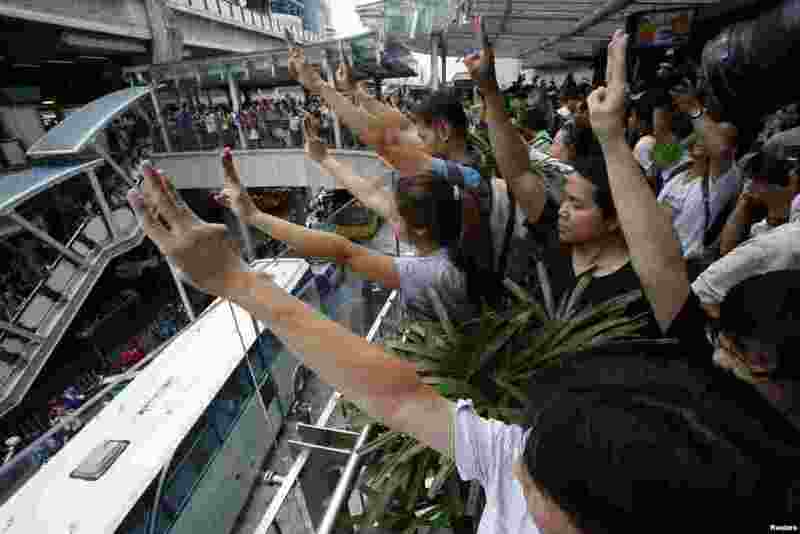 1 Protesters against military rule gesture by holding up their three middle fingers in the air, during a brief demonstration at a shopping mall in Bangkok, June 1, 2014. 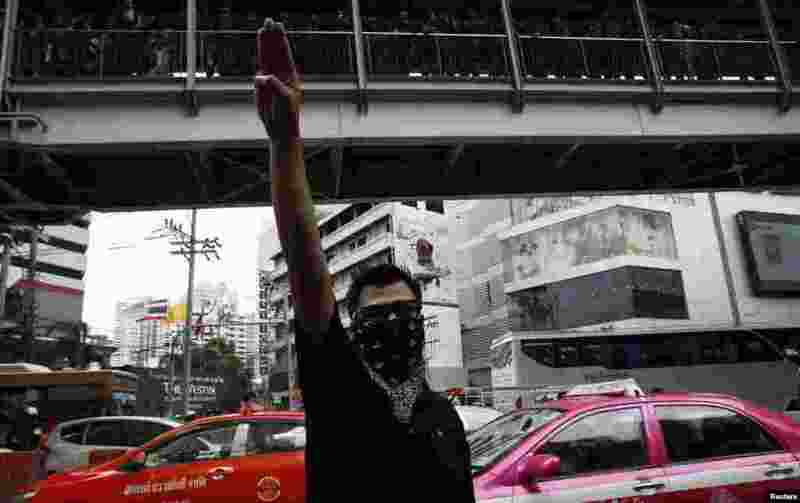 2 A protester against military rule gestures by holding up his three middle fingers in the air, as soldiers look on from an elevated walkway, during a brief demonstration outside a shopping mall in Bangkok, June 1, 2014. 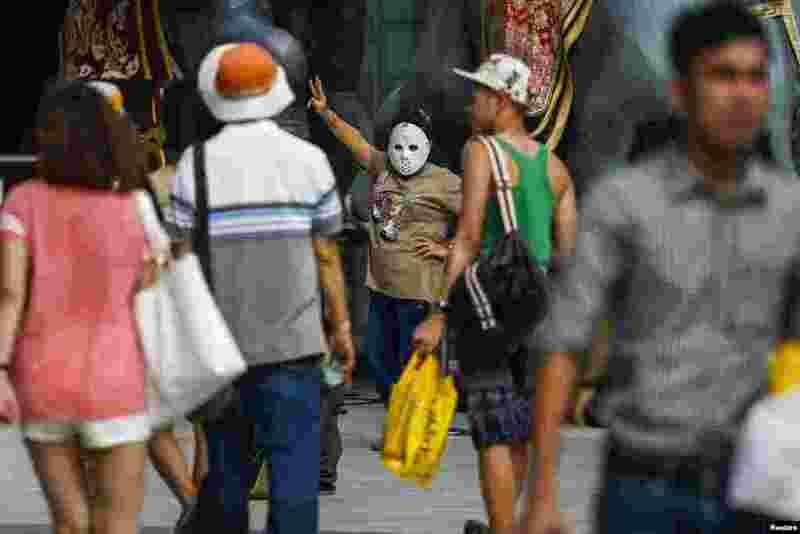 3 A masked demonstrator gestures during a brief protest against military rule at a shopping mall in Bangkok, June 1, 2014. 4 Anti-coup protesters wear paper bags with messages written on them as they flash a three-finger sign during a protest at a shopping mall in Bangkok, June 1, 2014.